Zoho Mail email hosting service is a hosted email solutions for businesses. One of the feature of Zoho Mail is Exchange ActiveSync (EAS) support, the de-facto protocol designed for the synchronization of email, contacts, calendar, tasks, and notes from a messaging server to a smartphone or other mobile device. If you’re using eM Client as your email client, the way to set up Zoho Mail via Exchange ActiveSync protocol is not obvious, even though eM Client does support Exchange ActiveSync too, in addition to Exchange Web Services (EWS), which is used if you set up an account using Exchange in eM Client and requires full deployment of Exchange Server or Exchange Online in Office 365. The advantage of Exchange ActiveSync over other protocols such as IMAP and POP is the ease of synchronization of emails, contacts and calendars automatically, without having to worry about CalDAV and CardDAV support and configuration. In addition, EAS also supports instant push notification which allows you to know about and read new incoming emails instantaneous, rather than waiting for scheduled fetching of new mail messages. 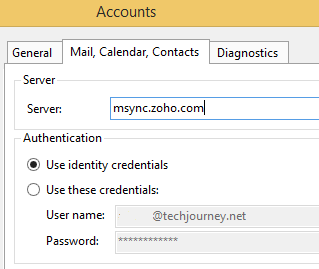 While eM Client does not present Exchange ActiveSync as a way to connect to an email account, we can use a workaround to set up Zoho Mail account, or any other email accounts that support EAS, such as paid Google Apps subscription. 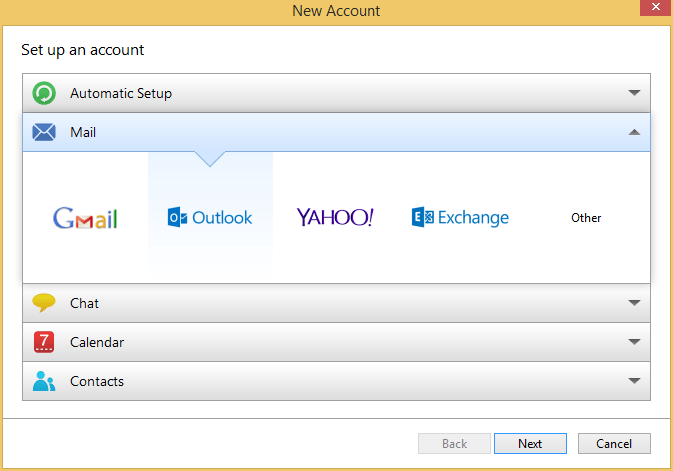 The workaround is by setting up the account through Outlook.com, which uses Exchange ActiveSync. In eM Client, go to Tools -> Accounts, and click on New accounts…. Select Mail pane, and then select Outlook. Then, click Next. Enter your Zoho (or any other email service that supports EAS) email address and password, and click Next. Enter your name and account name as per your preference, then click Next. 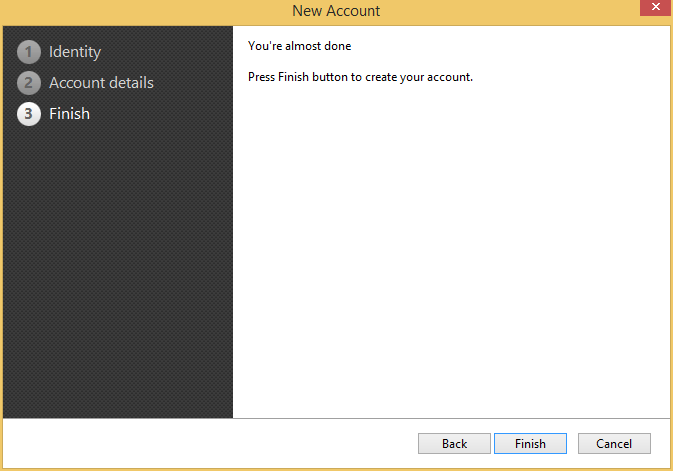 Click Finish to create your account. 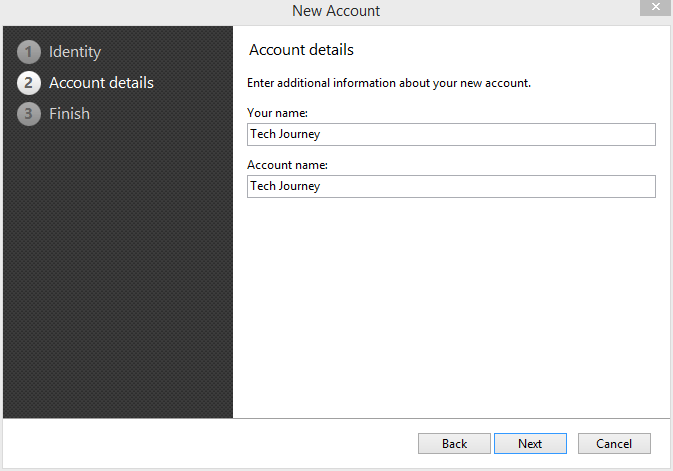 Once the new account was added, a “Password required” dialog box will appear, asking you to enter your user name and password to access the account. 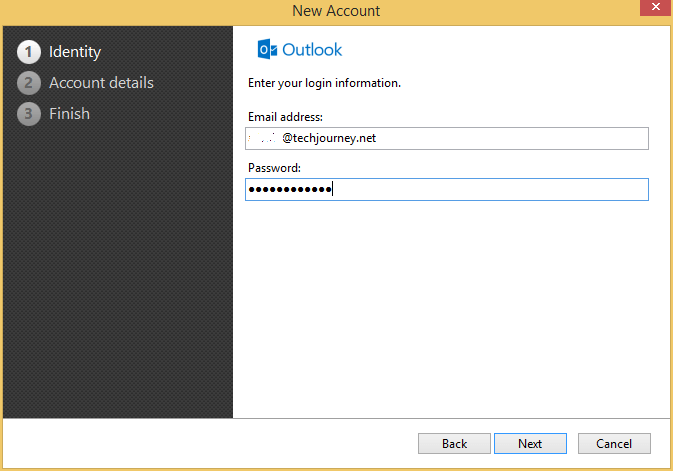 The error happens because eM Client was trying to authenticate against Outlook.com server, which unmistakably failed. Thus, click Cancel to ignore it for now. Make sure that the newly added account is selected (which should be by default), and click on Mail, Calendar and Contacts tab. For other EAS service, check with your administrator to get the EAS server address. eM Client should immediately sync your emails, calendar and contacts with the EAS server.